The Digital Engineering program (DGE) will impart Digital Engineers students with the critical skills needed in the following areas: Economics, Engineering, Novel Business Model, Digital Engineering, and Artificial Intelligence. The program will prepare the students for Industry 4.0 and equip them with the ability to design, fabricate, assemble, install, and integrate computer hardware, software, and control systems. 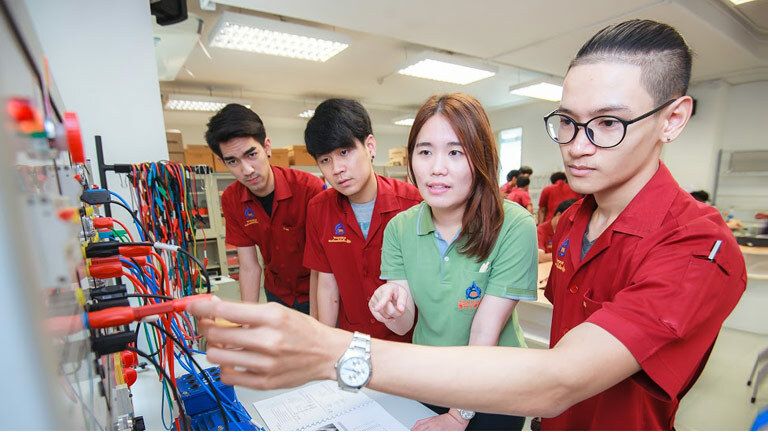 They will acquire “Digital Literacy” skills needed to apply engineering technology to improve automation systems and IoT and study about Intelligent Software, Intelligent Embedded Systems, and Intelligent System Integration, including for first stage and emerging S-curve industries and enterprises. TNI is confident that Digital Engineers graduates will have the requisite skills desired by companies involved in Cloud Computing, Big Data, Mobile Application, and Business Intelligence Solutions.